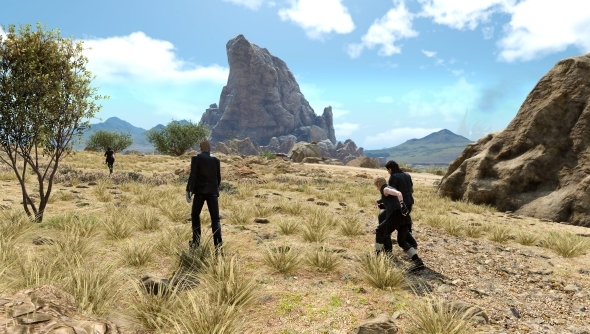 A playable demo of Final Fantasy XV’s Windows Edition launched yesterday, allowing gamers a glimpse of the first chapter of the game and these boys’ dashing haircuts in all their glory. Let’s hope this pre-release demo is a little bit more representative of actual gaming performance than the benchmarking utility turned out to be. Experience glorious 4K or colour-perfect 1080p with one of the best gaming monitors around. Despite our best efforts, we couldn’t quite reach the elusive 4K at 60fps bar we were hoping would be possible on this title. A singular Nvidia GTX 1080 Ti only managed to reach 48fps – and that was only once Nvidia’s own GameWorks augmentations were disabled. Even with a pair of the darn powerhouse graphics cards, only a single one was utilised in-game and we were back to square one – not that we had much hope for SLI profiling in the first place… anyone have a spare Titan V we can borrow? Further down the line we have the GTX 1060. This card fared a little better than its AMD RX 580 opposition at 1080p, but that’s unsurprising with a game that Nvidia have been wheeling out at every event to show off their proprietary tech for the last year or two. With GameWorks enabled and with the ‘highest’ preset selected, the Nvidia card managed to hit 43fps. With GameWorks disabled, the GTX 1060 reached a peak frame rate of 57fps. The stuttering that was woefully apparent during the FFXV benchmarking utility seems to have been squashed with the latest GameReady drivers from Nvidia for the most part. The RX 580 on the other hand – a card that often keeps up admirably with the GTX 1060 – only manages 32fps on the highest preset. Disabling HairWorks and TurfEffects, however, gives AMD a fightin’ chance and it manages to reach an admirable 44fps. To give AMD some credit, the performance between the benchmarking utility and the demo seems to have improved dramatically, although the stuttering is still quite visible. What seems quite clear, however, is that while some of the teething troubles from the, frankly useless, ‘non-representative’ benchmark utility have been dealt with, FFXV’s demo doesn’t actually offer any more performance over the aforementioned tool. 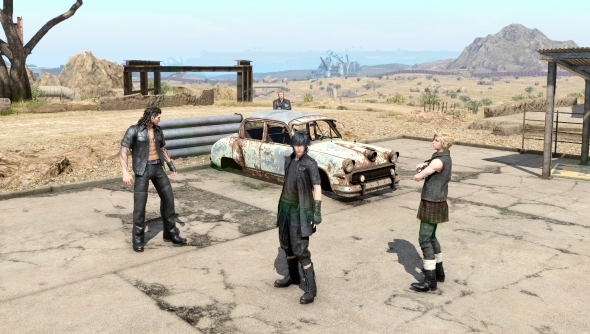 It seems the Level of Detail (LOD) issues have been trickier to scrub out of the game (although now you are free to drop LOD as you see fit, which does increase performance considerably), and we may still have to wait and see if these have been “addressed in the shipping game” as Square Enix have promised. For now, your best bet is the recently launched demo if you want to see whether you can actually run this game or not on your system. It offers the full menagerie of graphical settings you’d usually expect, you can actually experience what the game has to offer, and you can skip the fairly considerable spoiler that Square Enix thought fitting for a benchmarking utility. Final Fantasy XV Windows Edition launches on March 6, 2018, and we will have a full tech review and performance breakdown on the way for you at that time, too.